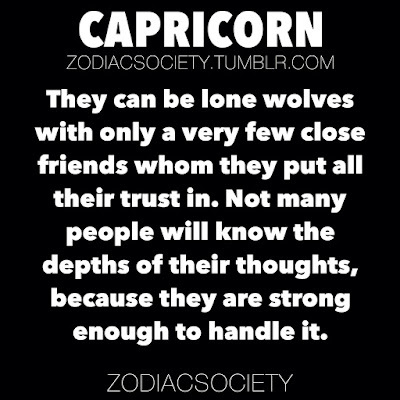 Capricorn #009 | Capricorn Life - Capricorns Rock! 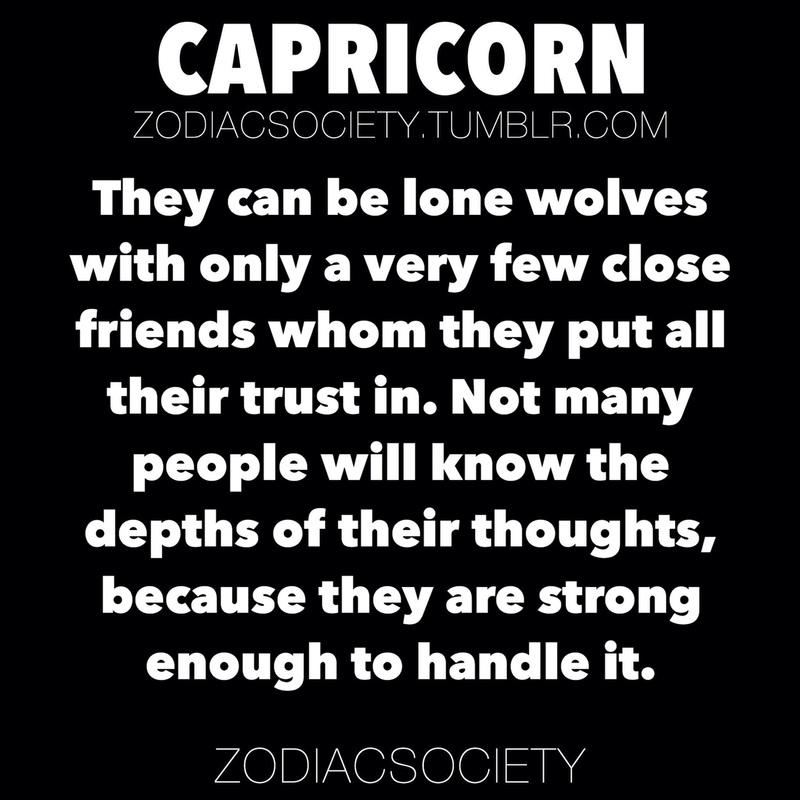 They can be lone wolves with only a very few close friends whom they put all their trust in. Not many people will know the depths of their thoughts, because they are strong enough to handle it.